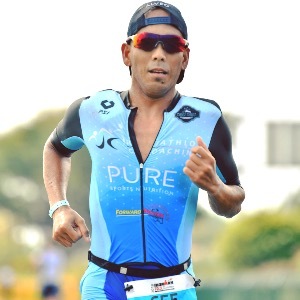 JC Roldan, been on the sport for 5 years. Started as a runner and gradually evolved to doing short to long distance triathlons. Former high School and college footbal player to a body builder to running and to triathlons. I love sport and love working on athletes, improving weaknesses and developing strengths. Each and every athlete have different needs in achieving their goals. This is commonly determined by their work, family, health and other personal matters that’s holding them back from excelling in the sport. To be able to achieve a goal in the sport we need to invest time for training, eat and drink healthy to take care of the body because that is the engine to success and mentally prepare for the race. As a coach i make sure I address all these, I make sure that an athlete doesn’t only become faster but continue to have quality time for themselves, family, work and continue to live a healthy lifestyle. So i make sure to have a very effective workout in lined with all of these factors. And lastly, to make sure that the athlete enjoy the journey! Age group from competitive to those who is just want to enjoy the sport. Success. Coach John Carl Roldan has been notified of your message.